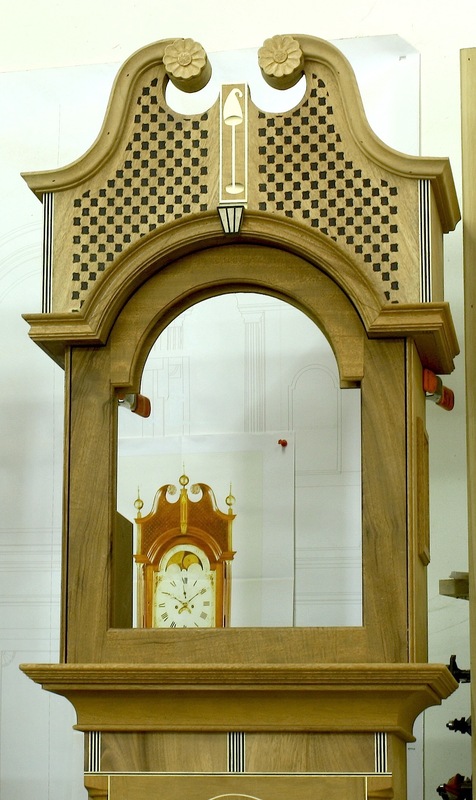 Because I had to make the columns on my tall clocks longer than needed so I could form the reeds with my scratch stock, each column needed to be cut to length. 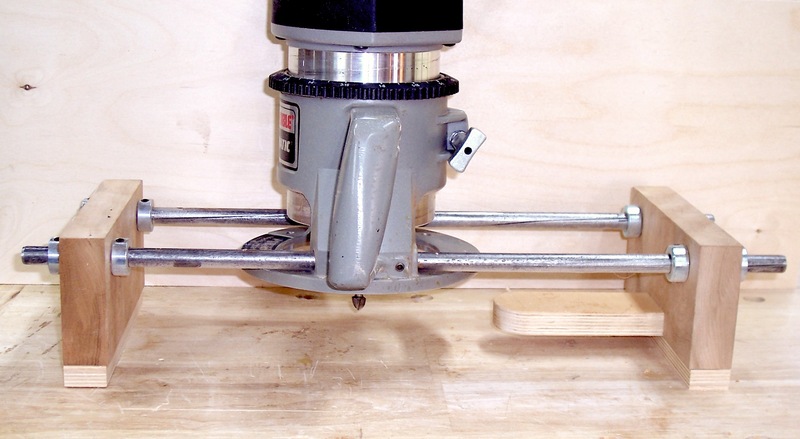 (The blue tape held together a fracture at the end of the column – I use this same technique when turning, if need be.) 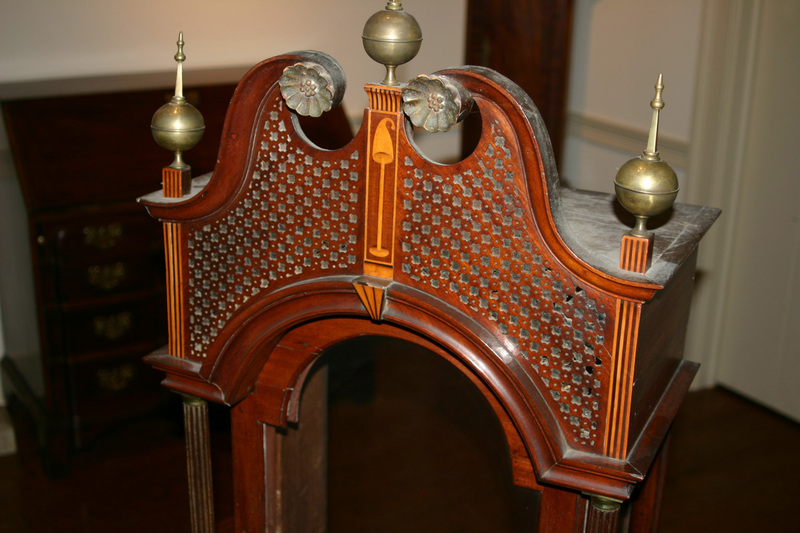 Once at length, each end of the columns needed to be reduced in diameter to fit into the brass capitals. 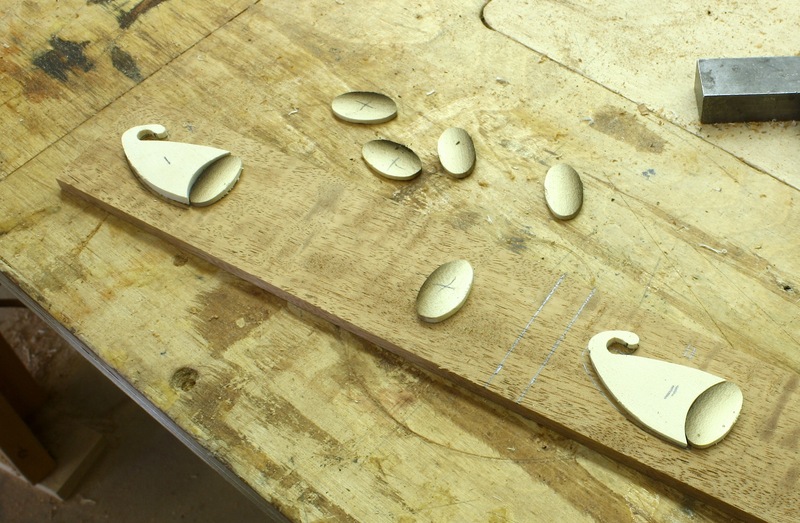 Then ends of the individual reeds are then shaped further. 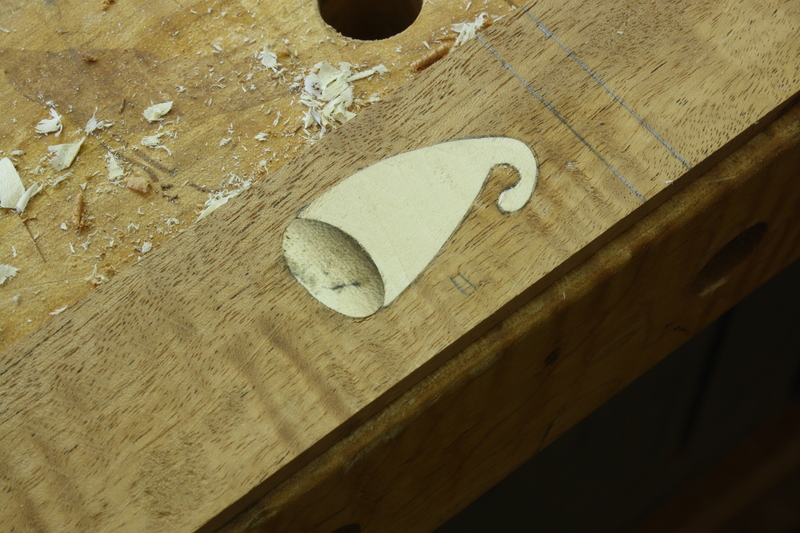 My first thought was to load a column at my lathe and turn the tenon before I cut the pieces to length. 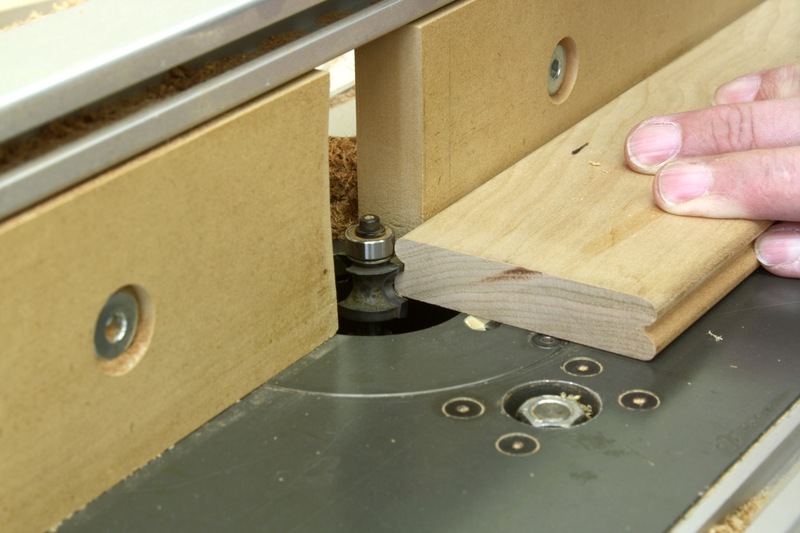 I want a snug fit through the capital, and there would be no way to check the fit while on the lathe – there was about 2″ to remove off each end of the columns, so I couldn’t simply slide on the capital. 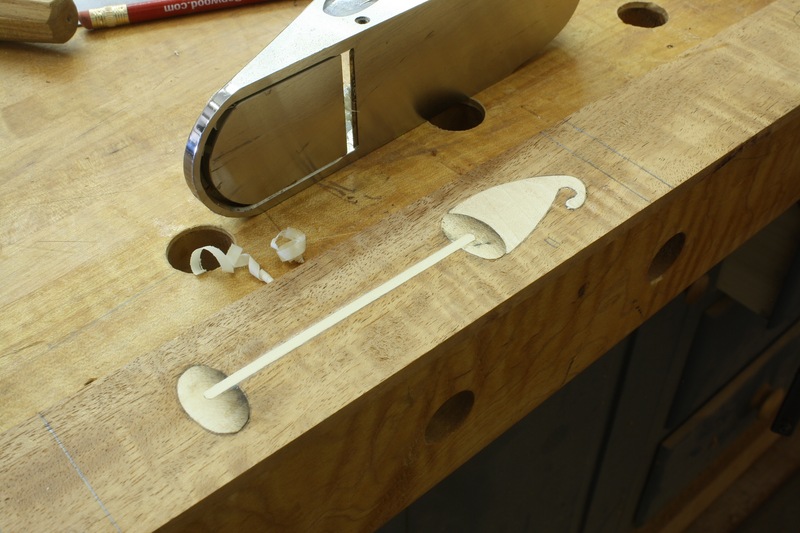 If I cut the lengths first, I lost the center markings and, for me, that makes loading the piece on the lathe too much of a hassle (I’ve not had success remarking the center whether using a center-marking gauge or not). 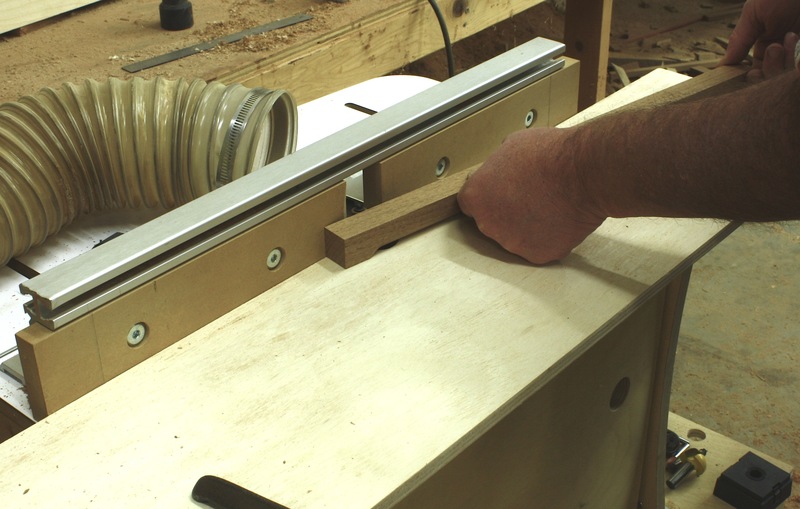 What I decided to do was to cut the columns to length, then use my band saw to form the tenons – it’s a similar operation as making a bump-cut tenon using a table saw. (You can see a short video of this technique here.) 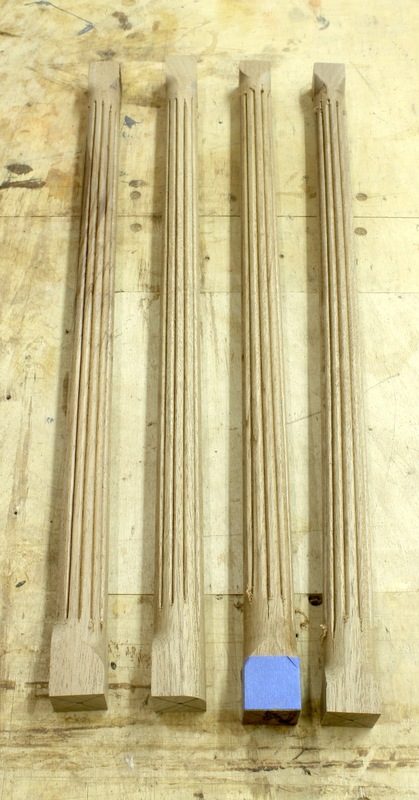 In the photo above right, you see the end of the columns after its been cut to length. (You can also see that there is more work to do on the reeds.) 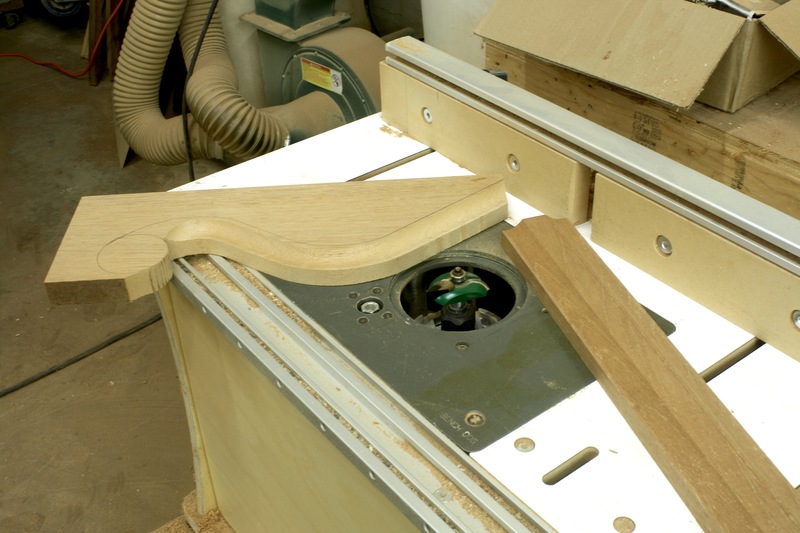 And below you can see my setup at the band saw. 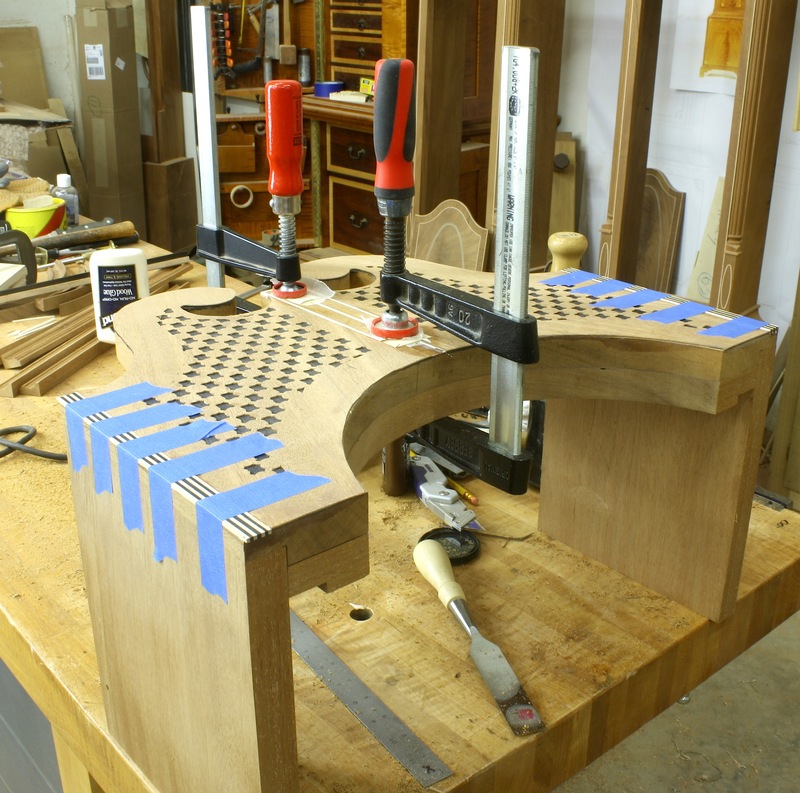 I positioned the column tight to the second block – that piece has a 1/2″ notch which is the tenon length, and I’ve clamped it tight against the bench hook to make sure the two are aligned. 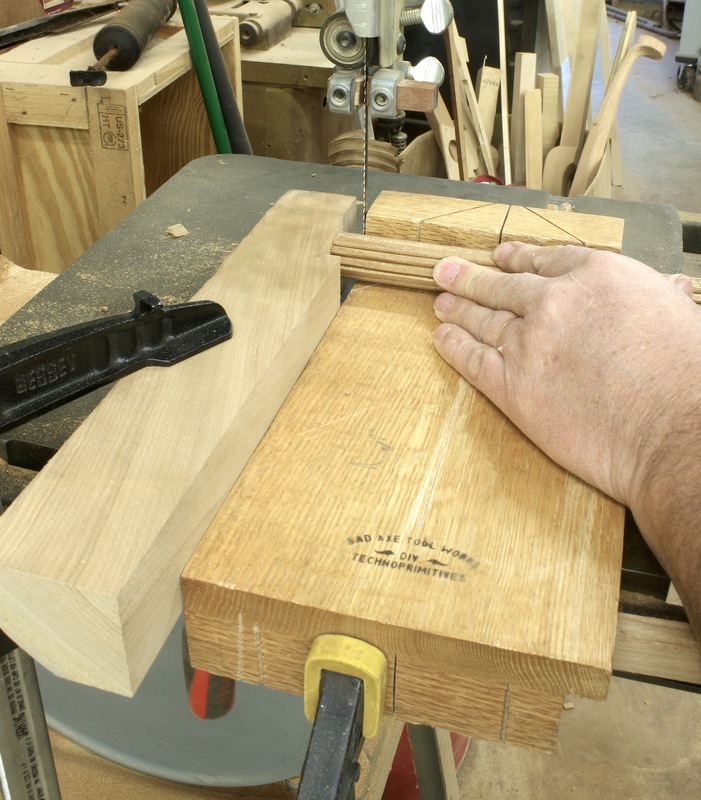 With the column set against the second block, I spun the stock to cut the tenon shoulder. 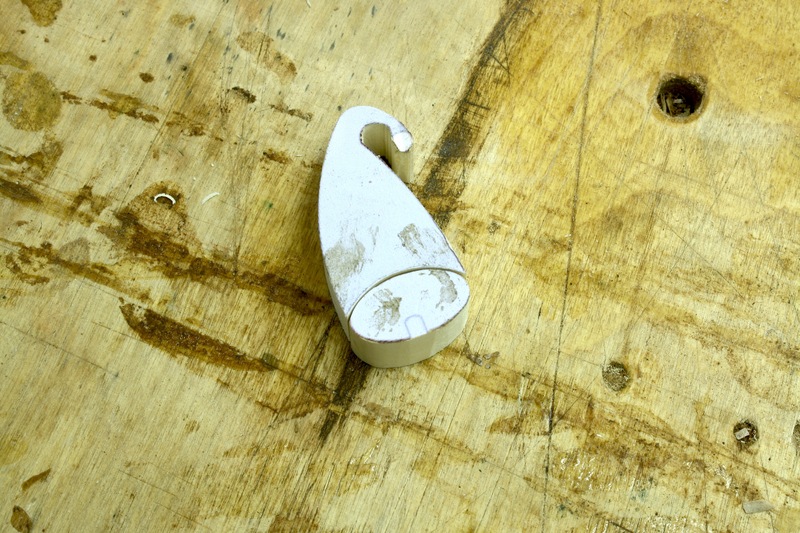 I then nibbled away the waste in one area of the tenon – it takes a bit of wiggle and movement. 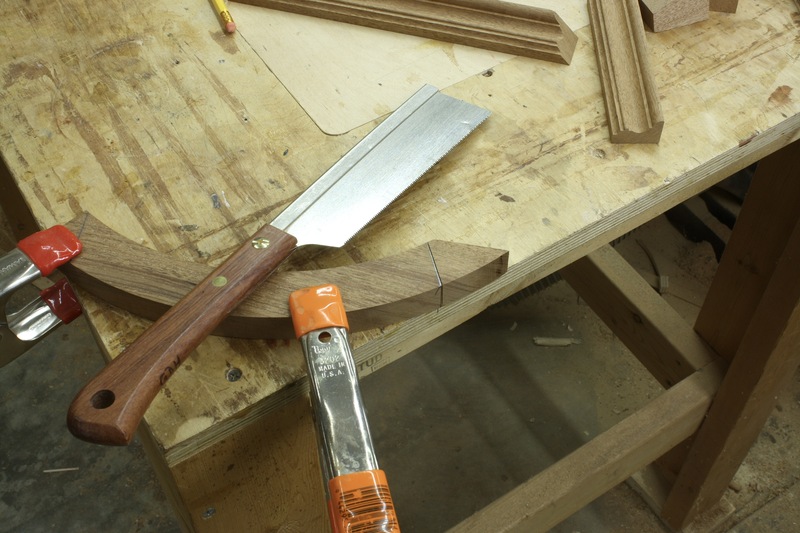 Once that area is flat and clean, I began the bump-cut technique. 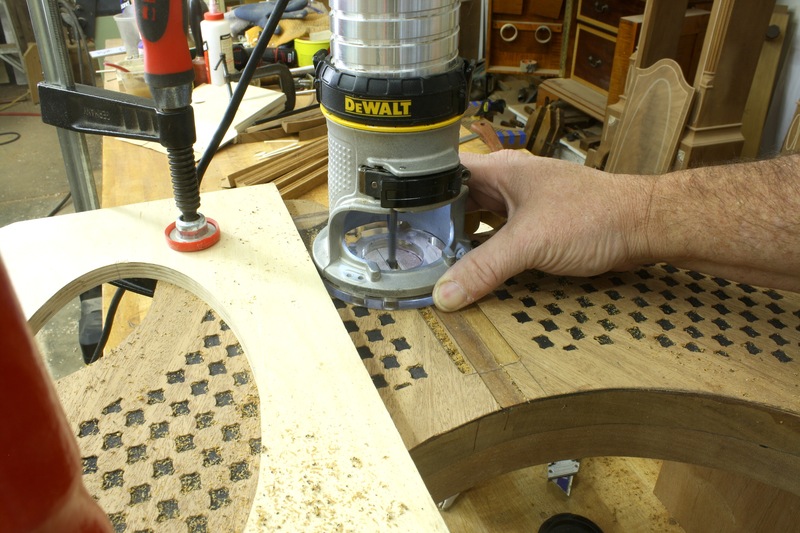 Back and forth into the second block while rotating the column; it’s like rubbing your head as you pat your stomach. 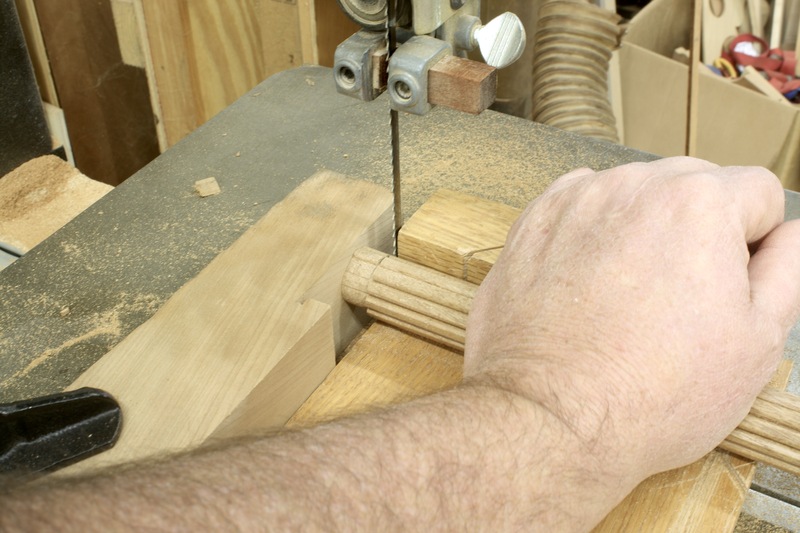 When a full rotation is finished the tenon is formed. 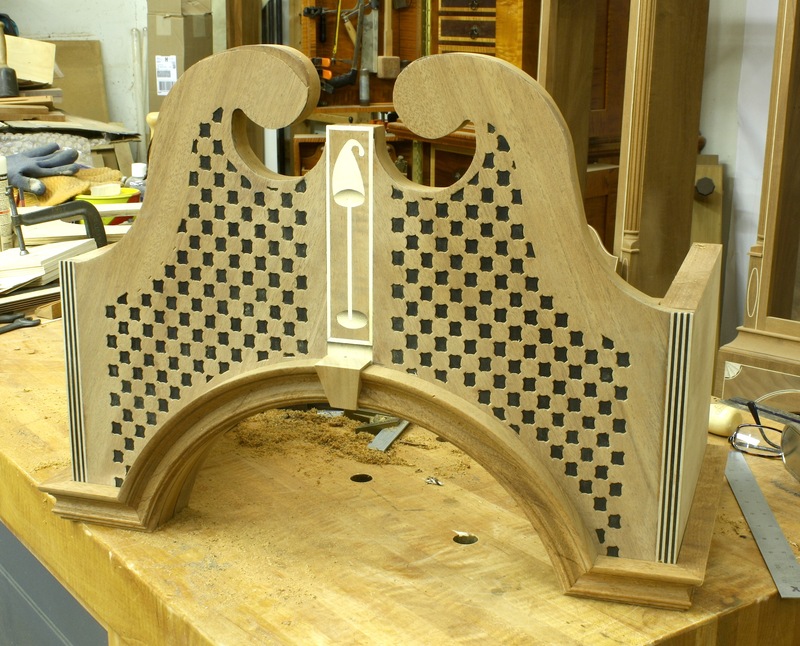 Two clocks, four columns per clock and two ends per column left me with 16 tenons to form. Taking the time to set up this method saved me time in the long run. 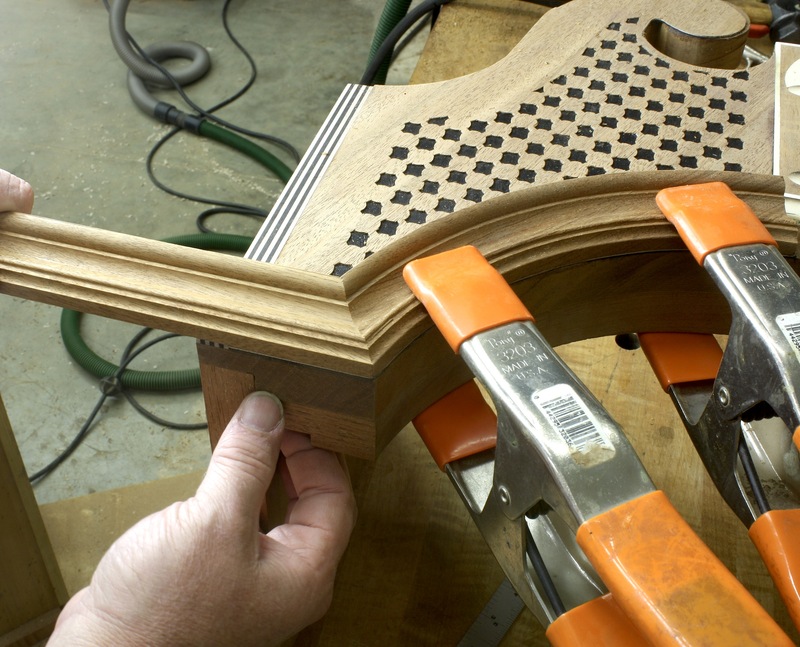 And I didn’t waste a column that needed to be replaced with another – that would have burnt at least an hour of shop time. 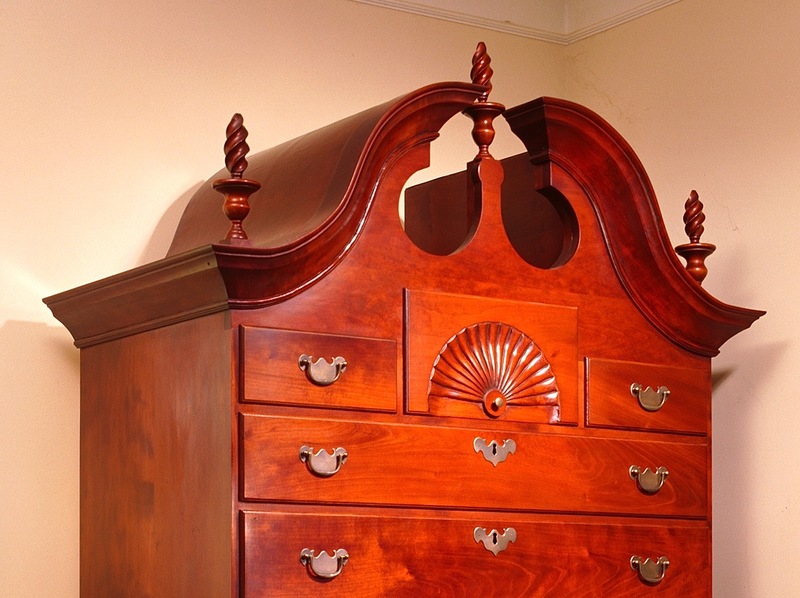 Last week I finished the work on the goose-neck mouldings and the carved rosettes. 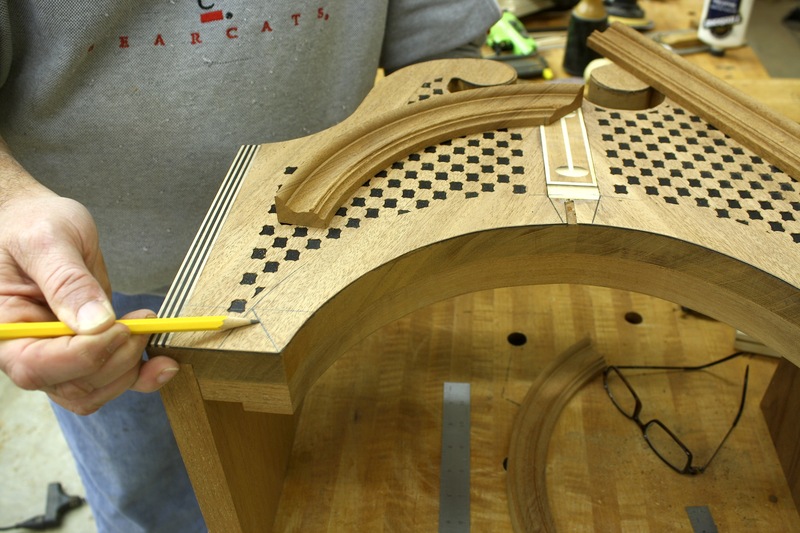 At the left, you can see the mouldings and rosettes in place (click the photo to make it larger). This week I turned my attention to the columns that flank each side of the hood at the front and back. 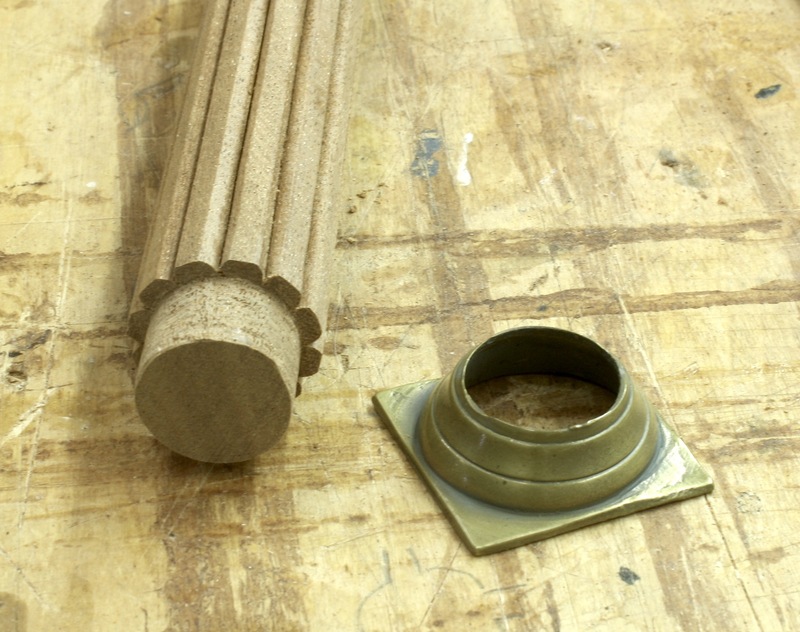 These columns are reeded and need to fit a 3/4″ opening in the brass capitals. 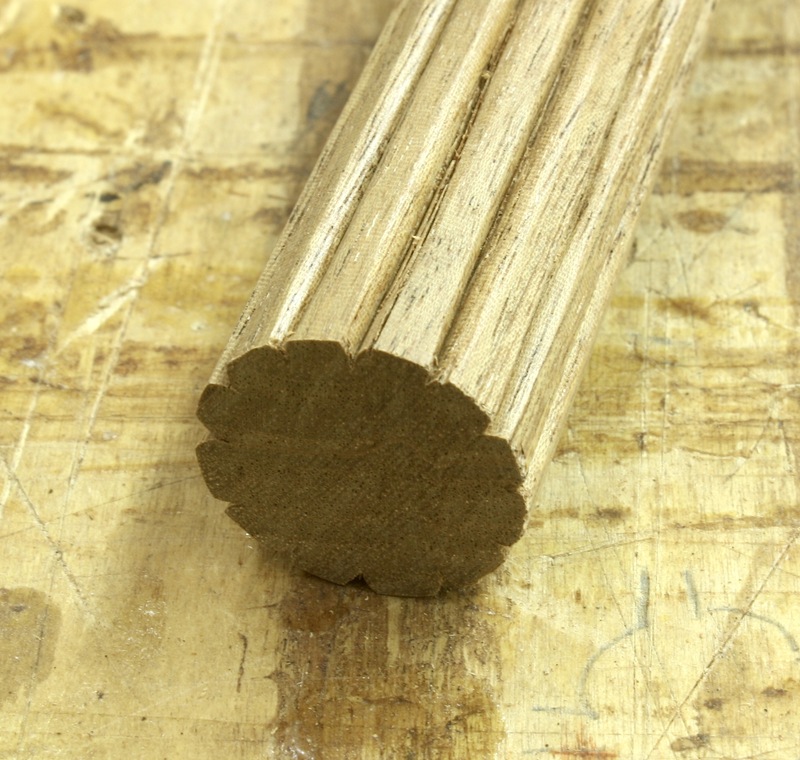 To make things work, I need to make the columns a larger diameter, then create the reeds, which extend beyond the 3/4″ diameter. 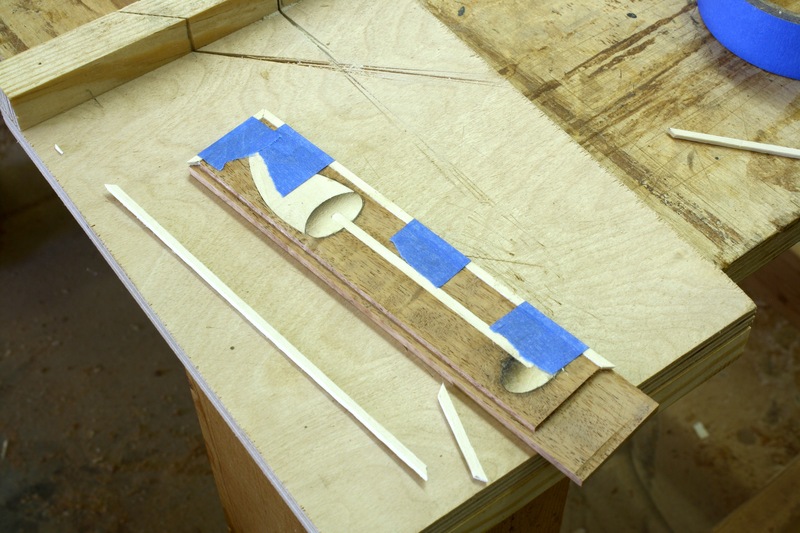 I decided to make the columns 1″ round and to scratch in the reeds. 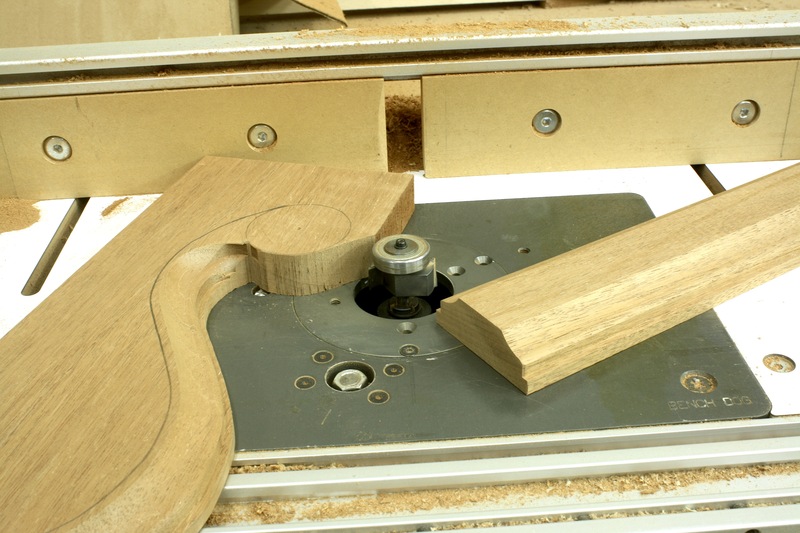 The extra diameter allows for the reeds and provides a bit more material if needed. 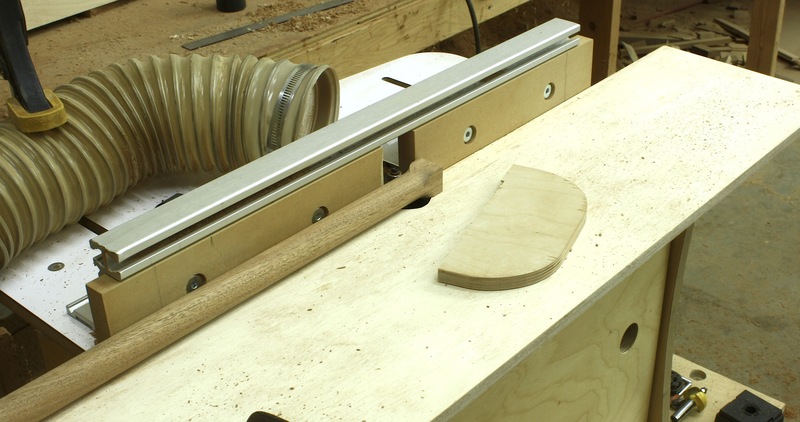 My first thought was to turn the columns at my lathe. 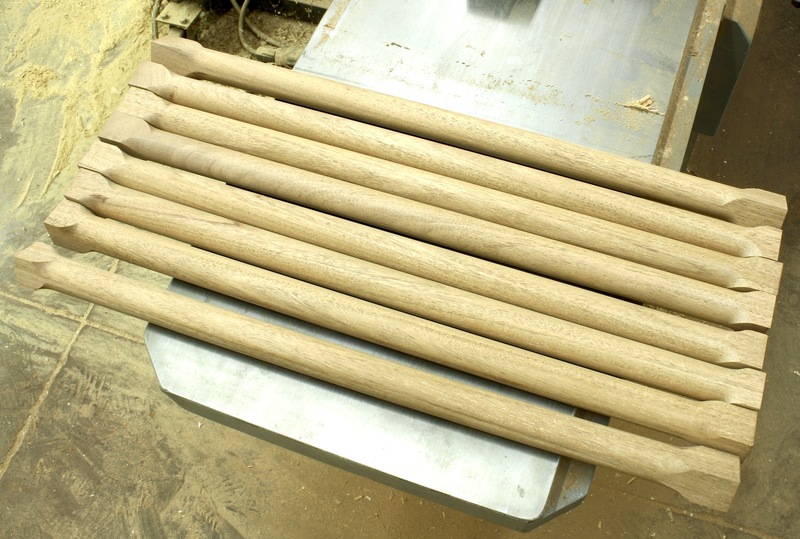 Even with a copy lathe, the process is slow and laborious – I need eight columns, four for each clock (I’m building two). There is no shape to these columns. No undulating whatsoever. They are straight from top to bottom. I needed 16″-long columns. 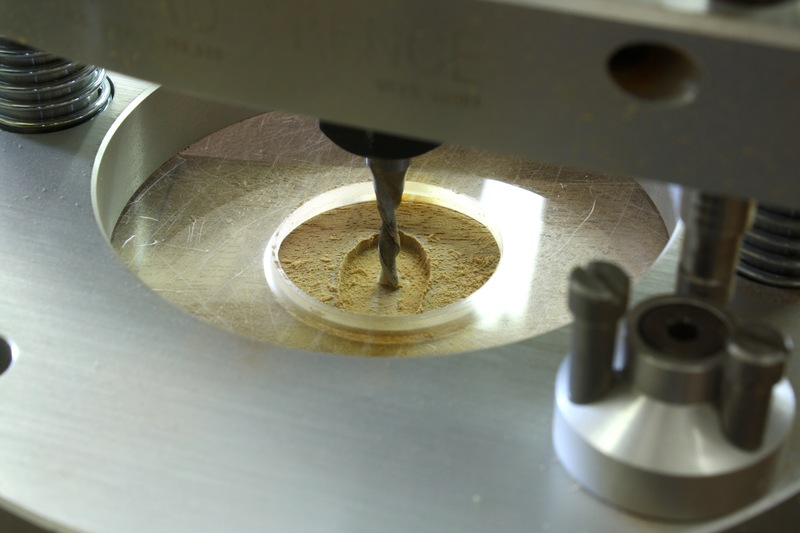 To work this technique with the added 4″ of material, I needed a minimum table length of 34″ (twice the column plus 2″). 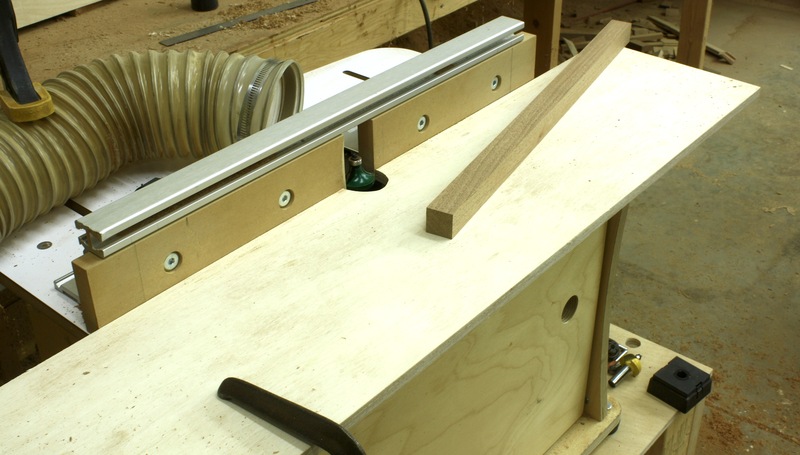 My router table top is nowhere near that length, so I whipped up an auxiliary top made from a piece of 1/2″ Baltic birch plywood. 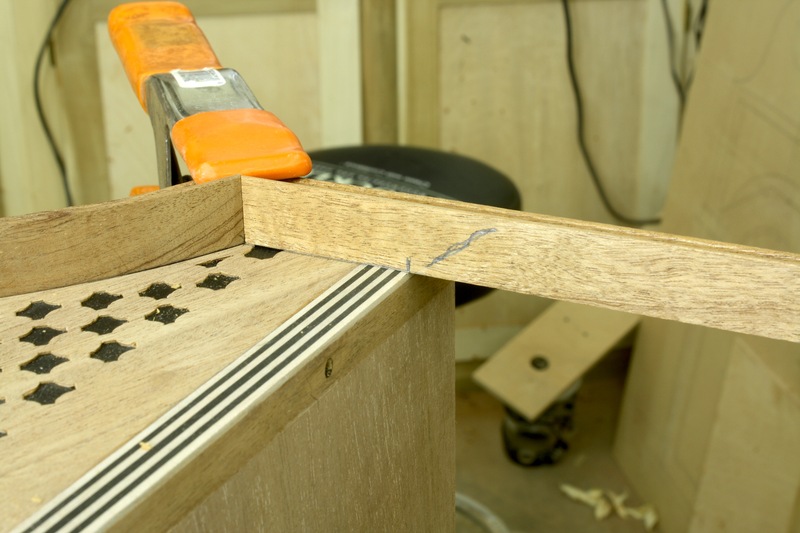 I positioned the router bit so the bearing was flush with my fence, and set the height just even with the top edge of the plywood. 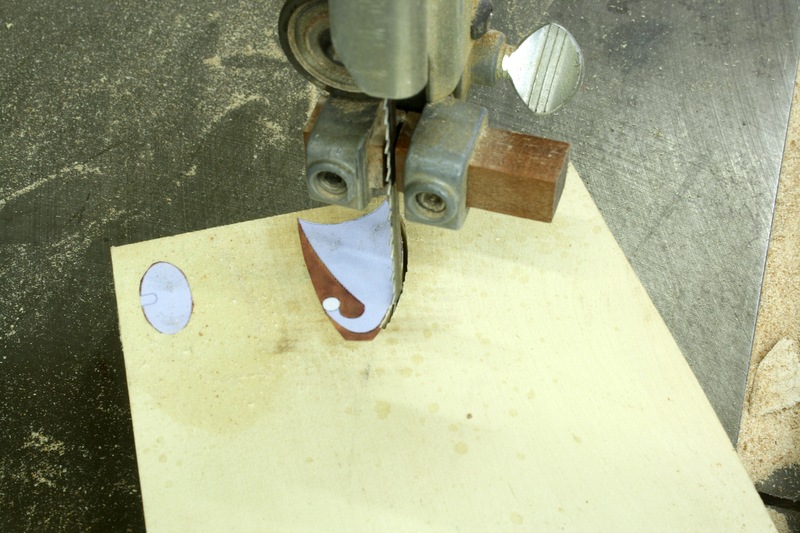 You need to pivot the material into the cut so you leave a short section of square material at the leading end. 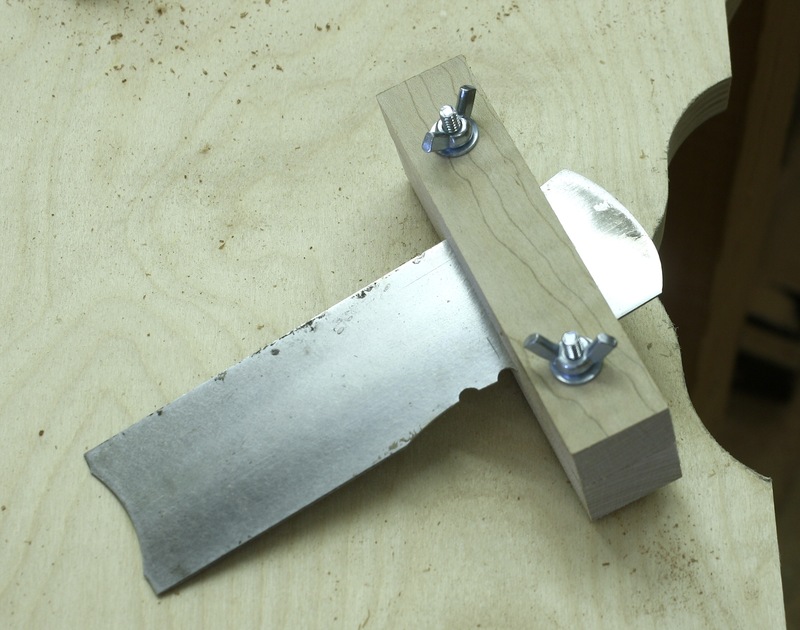 As the material contacts the fence, cut the profile just as you would normally do, but do not run through the entire length. 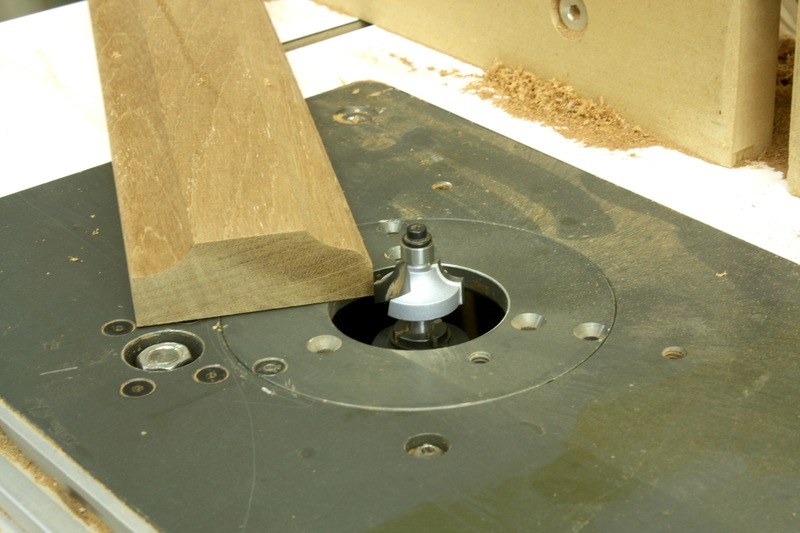 At the trailing end, stop short, leaving 2″ or less of square material. 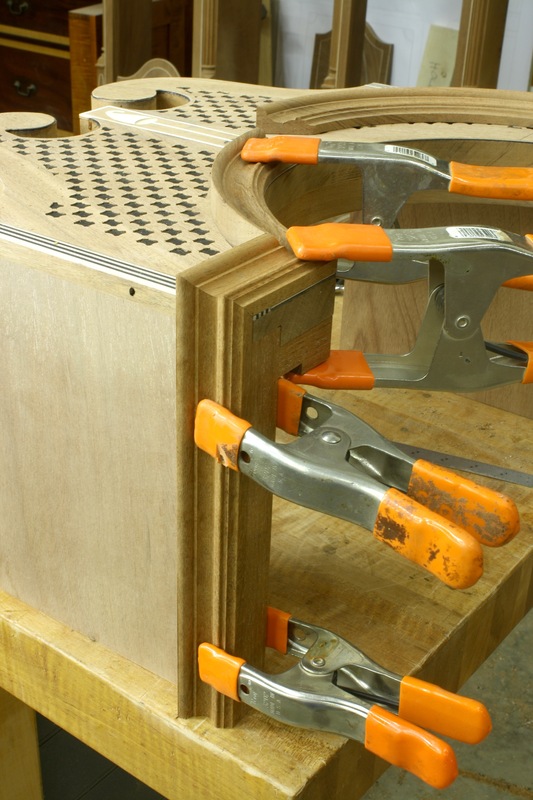 It’s those square sections that keep the dowel from turning as you make the last pass. 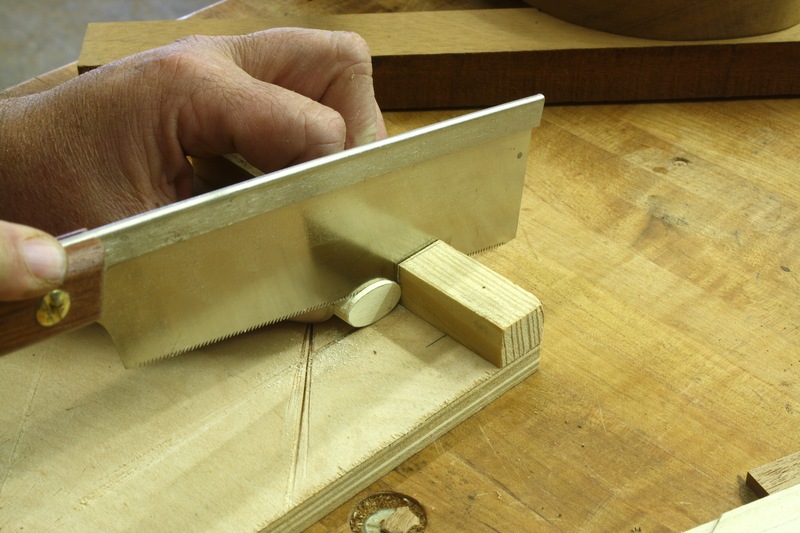 After you complete one pass, rotate the material 90° and make another pass. 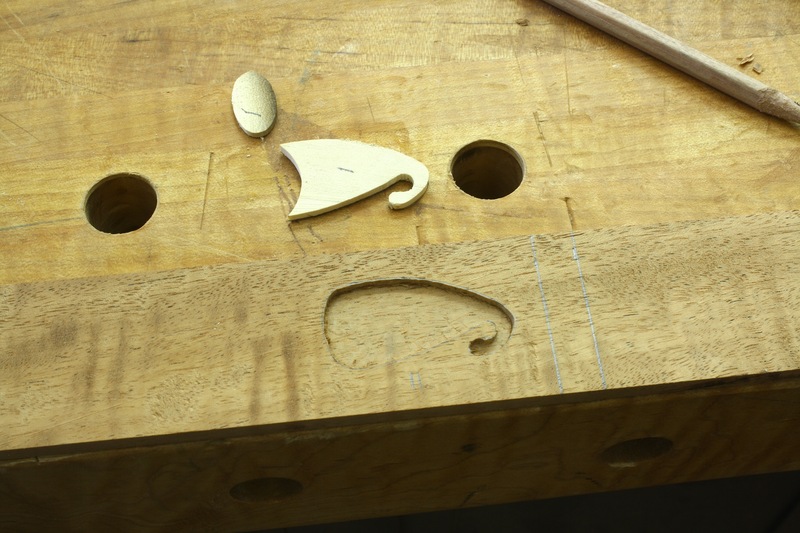 Four passes later you have a rounded dowel that rolls across your bench. I completed all eight dowels (plus an extra just in case) in about 15 minutes after I had the setup ready to go. Wham. Bam. Thank you, ma’am. 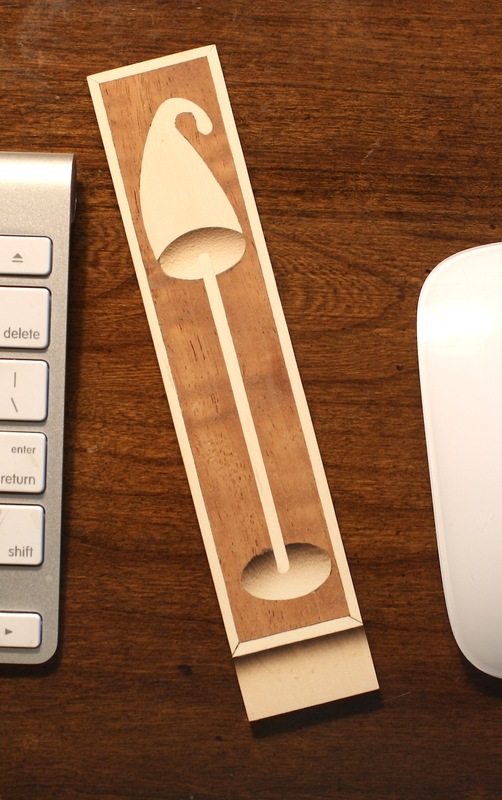 Now to come up with a way to hold the dowels as I scratch the small reeds. I remember seeing a setup that Jeff Headley concocted for a similar purpose. Think I’ll dig that up.